Please keep in mind that a fever isn't always a bad thing…it is the body's way of fighting an infection. Take 2 cups of cool water and add 3-4 drops of a lavender and peppermint or spearmint blend. Soak a washcloth in the mixture and wring out and place on the forehead. Repeat often. Please use spearmint if you are treating a child under 6 years old. 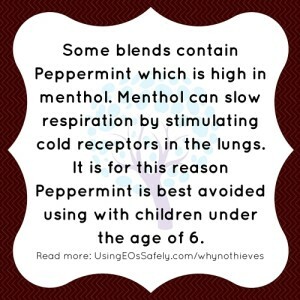 (We suggest not peppermint until the age of 6… see below!) If your child is under 2 years old, we suggest that you look to some of the suggestions in the article below. 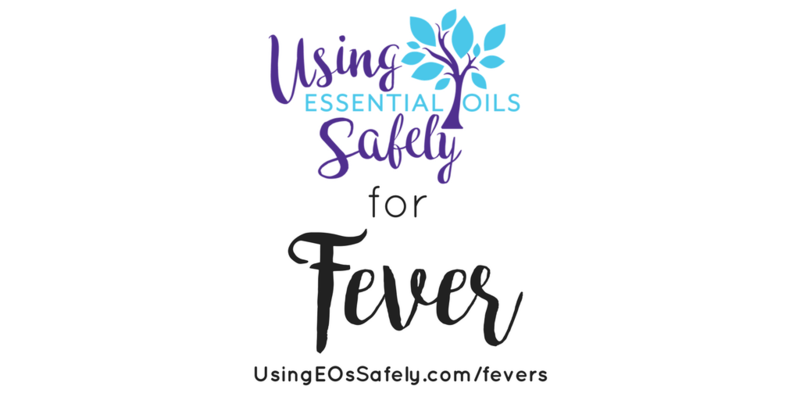 Even though peppermint is commonly suggested to reduce fever it is not a child safe oil and so should not be used for little ones under the age of 6 which is why we suggest spearmint instead in the info above.